A beloved dog can never truly be replaced. Just as every person is a unique individual, so is every dog. They occupy entirely unique spaces in our lives. Their personalities, habits, and quirks can never be replicated. This is why the thought of adopting a new pet may feel impossible immediately after their death. However, many dog owners find that, as they work through their grief, they learn to welcome another furry friend into their lives. Coming to this point often takes time. For some, it takes years. But learning to love another animal as an individual and not as a replacement allows you to continue treasuring the memory of your deceased pet. It allows you to expand your capacity for love by adding another dog to your heart, without removing the beloved pet that was there first. Grief sometimes makes you feel stuck in the pain of the loss. However, moving forward through the grief can lead to personal growth as you learn how to balance your memories of your dog with the ability to continue living your life. Dogs become so ingrained into our lives that almost every part of our day is changed when they are no longer there. For example, you might find it difficult to take your daily walk without your dachsund accompanying you. Or, you may stop visiting your neighbor because your lab is no longer around to play with theirs. Grief, however, when dealt with openly and frankly, allows you to forge a path that balances honoring the memory of your dog with the ability to continue living your life. Crucial in growing in this way is the discovery of ways to memorialize your dog. For example, creating a diamond out of their ashes might give you something concrete to wear on your walks. Donating some of your lab’s things to your neighbor might give you a reason to stop by. 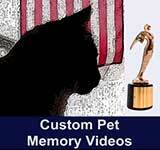 These memorials provide a way to move forward while preserving the things you want to remember about your dog. Personal growth after grief often includes a spiritual component. The death of a dog can often spur this type of spiritual change. Spiritual questions and changes are a frequent component of grief and loss. Death forces us to face our own mortality and often leads us to question the spiritual convictions that we would otherwise take for granted. For example, the loss of a dog can make us wonder if God really cares about us or even if He is really there. You may begin to question your conviction that there is no afterlife for animals because of your great desire to see your beloved canine companion again. Facing these upheavals in our spiritual lives is necessary if we are to grow into a richer spiritual understanding. Unless these questions and doubts come up, we cannot work through them. And if we do not work through them, we remain spiritually the same. Grief forces us to re evaluate our deeply held beliefs in order to come to a spiritual understanding that is fuller and more sure than what we had before. Grief after the loss of a dog can also help us to grow in our ability to interact and empathize with others. Once we have experienced the pain of dog loss, we are better able to reach out to others experiencing the same sadness. Sympathy is a natural response to someone who is grieving. We feel distressed that they are suffering, because we care about them. Empathy, however, involves actually feeling and understanding what the grieving person is going through. While we may have sympathy for someone who has lost a pet, the grief that comes with the loss of our own canine companion can, if we let it, develop in us a true empathy for those who lose their pets. Instead of simply sending them a card or giving them platitudes, we may join our tears with theirs. We may help them plan the funeral, or share our own story so they know they are not alone. Our empathy helps us to stop judging someone’s grief and participate with them in that grief. It gives us the power to show them the way through their grief. And that type of personal growth can only come through suffering the pain of loss ourselves. Finally, grief over the death of a beloved canine friend often leads to a desire to help others in new and different ways. The loss of your dog might also create in you a desire to help others in ways you had not considered before. Often, this desire is an outgrowth of the newfound empathy that loss might create. For example, you may be more willing to support other grieving pet owners because you know what the pain of that loss feels like. 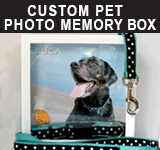 At other times, this desire might involve honoring the memory of your dog. For example, you may choose to volunteer at the shelter where you rescued them. Or you might donate money to the organization that trained them, provided them with medical care, etc. Finally, you might choose to work for a cause that was related to your dog. For example, you might work against the euthanasia of dogs if yours was rescued from a kill shelter, or you might donate money to finding a cure for the disease that claimed your dog’s life. Regardless of how, exactly, you change through grief, the goal is to change for the better. By confronting and working through your feelings, reaching out for support when you need it, and taking the time you need, you can create in yourself changes that honor your dog as you move forward with your life.